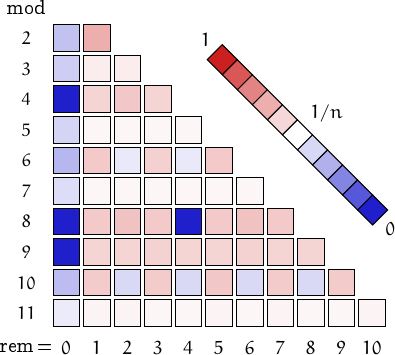 A number is called sphenic if it is the product of 3 distinct primes. For example, 370 is a sphenic number because it is the product of the 3 primes 2, 5 and 37. Sphenic numbers are quite common: up to there are 20710806 sphenic numbers. is the so-called prime Zeta fuction. 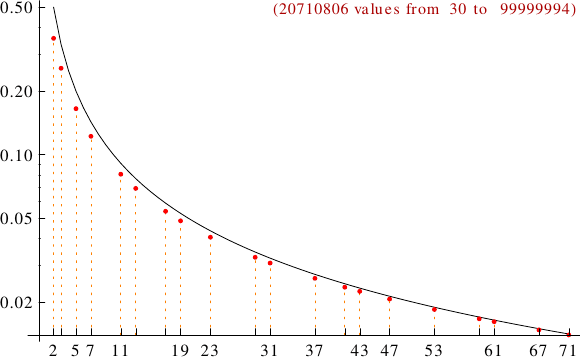 A graph displaying how many sphenic numbers are multiples of the primes p from 2 to 71. In black the ideal line 1/p.